Home » Event » Festivals » Geektopia – Fan & Comic Convention. Geektopia – Fan & Comic Convention. 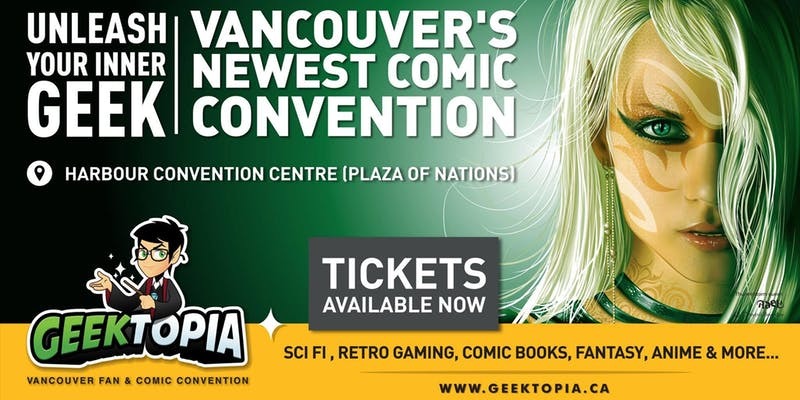 VAN EXPO Presents: GEEKTOPIA 2019 – A Journey to Somewhere. EVENT INFO: Cosplay, Panels, Celebrity Guests, Vendors, Artists & Entertainment. GENRE: Sci-Fi, Retro Gaming, Comic Books, Fantasy, Anime, Horror, and much more! Every person has an unwritten adventure waiting to begin, a fantasy that fuels their soul and a prophesy that must be fulfilled. As close as a midnight dream, a mystical realm exists where all your deepest desires come true. A place where magic and science are one in the same and the future is brought into the present.